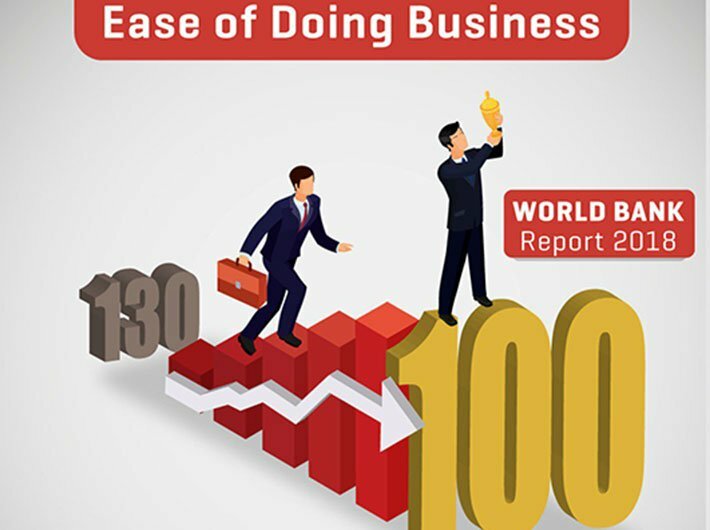 India carried out a number of reforms that helped the country dramatically improve its rankings by 30 spots to 100th position in the World Bank's Ease of Doing Business Report 2018. ✔Starting a business: India made starting a business faster by merging the applications for the Permanent Account Number (PAN) and the Tax Account Number (TAN) and by improving the online application system. This reform applies to both Delhi and Mumbai. Mumbai also made starting a business faster by merging the applications for value added tax and the Profession Tax (PT). 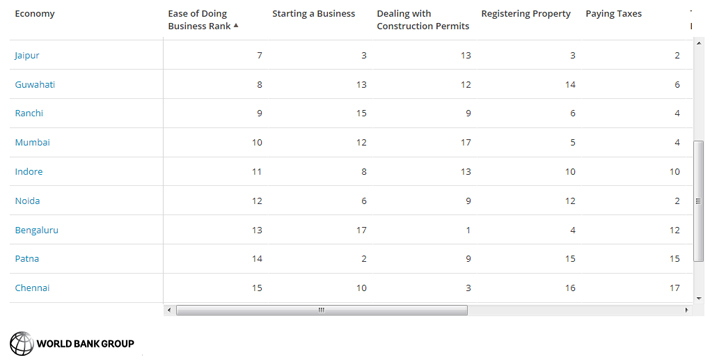 ✔ Dealing with construction permits: India reduced the number of procedures and time required to obtain a building permit by implementing an online system that has streamlined the process at the Municipality of New Delhi and Municipality of Greater Mumbai. ✔ Getting credit: India strengthened access to credit by amending the rules on priority of secured creditors outside reorganization proceedings and by adopting a new law on insolvency that provides a time limit and clear grounds for relief to the automatic stay for secured creditors during reorganization proceedings. This reform applies to both Delhi and Mumbai. ✔ Protecting minority investors: India strengthened minority investor protections by increasing the remedies available in cases of prejudicial transactions between interested 132 DOING BUSINESS 2018 parties. This reform applies to both Delhi and Mumbai. ✔ Paying taxes: India made paying taxes easier by requiring that payments be made electronically to the Employees Provident Fund and introducing a set of administrative measures easing compliance with corporate income tax. This reform applies to both Delhi and Mumbai. ✔ Trading across borders: India reduced import border compliance time in Mumbai by improving infrastructure at the Nhava Sheva Port. Export and import border compliance costs were also reduced in both Delhi and Mumbai by eliminating merchant overtime fees and through the increased use of electronic and mobile platforms. ✔ Enforcing contracts: India made enforcing contracts easier by introducing the National Judicial Data Grid, which makes it possible to generate case management reports on local courts. This reform applies to both Delhi and Mumbai. ✔ Resolving insolvency: India made resolving insolvency easier by adopting a new insolvency and bankruptcy code that introduced a reorganization procedure for corporate debtors and facilitated continuation of the debtor’s business during insolvency proceedings. This reform applies to both Delhi and Mumbai. 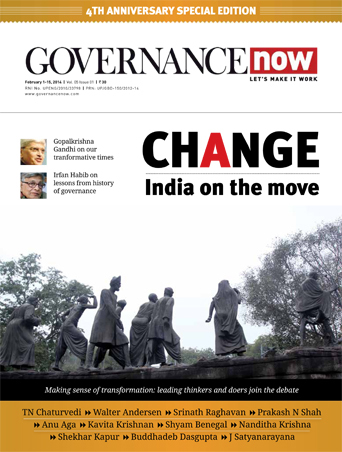 Labor market regulation India increased the mandatory length of paid maternity leave. This reform applies to both Delhi and Mumbai.